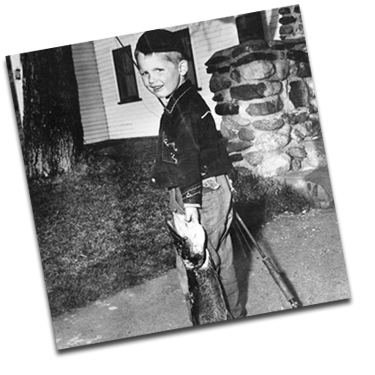 In 1960, Phil and Barbara Jackson of Winthrop, Maine started taking their young son, Tim, ice fishing with them. This family activity turned into a life-long passion for Tim (also known as “Jack”) and eventually became his livelihood. 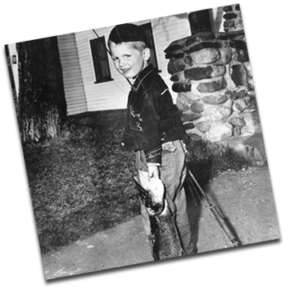 “When I turned eleven or so, I bought my first set of ice fishing traps, which are also known as tip-ups. They were great, but after a couple of seasons, the wear and tear really began to show. The tripper wouldn’t stay in place and it would freeze up. The reels would bend and some would even come off.” “In 1979, I decided to build a set of ice fishing traps. Since then, I’ve made a few improvements,” he says. Tim began making traps as a hobby and then as a small side business. Relying heavily on his experience as a fisherman, as well as his father’s advice, Tim set out to make the highest quality product he could. In the early days, he ran the business on his own with the help of his wife and four children as they became old enough to help out. Jack Traps has always been a family business, with Tim and his wife at the helm. “I’d be lost without my wife, Debbi. She helps out with the business when she can, but as anyone who has a small business knows, it’s her support that means the most. Though he has been selling his traps since 1979, it has only been since sustaining a back injury at work in 1994 that Jack Traps has been a full-time endeavor. To get the business off the ground, Tim drove around the state to sporting goods retailers and hardware stores peddling his products. Most of the stores who bought from him that very first year are still loyal customers today. In recent years things have changed a bit at Jack Traps, Inc. Tim moved the entire operation to 151 Ridge Road in Monmouth, and the 600 square feet he had before turned into 6,000. 2014 marks Jack Traps, Inc.’s thirty-fifth season. With more products than ever available at the retail store in Monmouth and at jacktraps.com, Jack Traps is poised for its best year yet.